Automobile major Tata Motors is projected to post a standalone profit in the quarter ended March 31, 2018. This could be the second consecutive quarter of standalone profit for the company after five successive loss-making quarters, marking a turnaround of sorts. The company’s standalone (domestic) business gets over two-thirds of revenue from commercial vehicles and the rest comes from passenger vehicles. Both the segments have been growing at a double digit for the company in recent months. It reported a standalone profit of Rs 1.83 billion in October-December of FY18 against losses of Rs 10.46 billion in the corresponding quarter of the previous year. In the January-March quarter, it is expected to report a profit of Rs 3.25 billion, according to equity research firm Jefferies. “Standalone performance should continue to improve as we expect another quarter of positive net profit,” it said. HDFC Securities, however, expects the standalone profit to be around Rs 4.8 billion for the last quarter. The cumulative loss in the standalone business since July 2016 is more than Rs 32 billion, driving the company to initiate cost reduction measures, beside focusing on gaining back the lost market share in the commercial vehicles business. 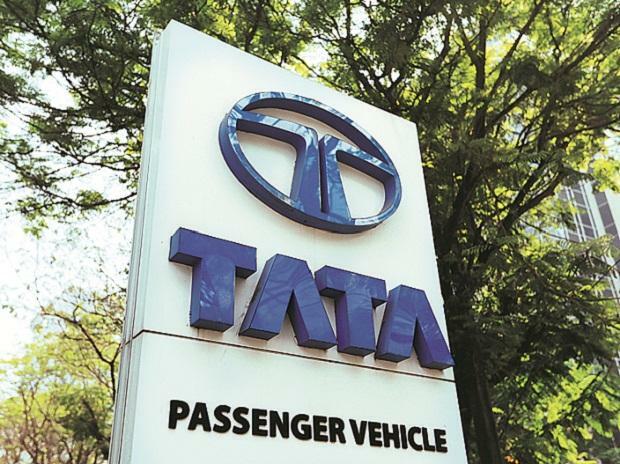 Guenter Butschek, chief executive officer and managing director of Tata Motors, said in September last year that the company was in a volume business, and volume growth would determine bottom line improvement. The company had indicated last year that it would achieve an improvement of Rs 1,500 crore in bottom line from volume growth and reduction in costs. No time-frame was specified for this reduction. Volume growth has been a key driver to the improved financial performance. The company is estimated to have clocked a volume growth of 35 per cent in standalone business to 204,268 units (commercial and passenger vehicles combined). The turnaround strategy is delivering results for us as is evident in share gain in an intensely competitive market and improved profitability enabled by a slew of new product launches and customer centric initiatives, Butschek said in February while announcing third quarter results.